The strange and mysterious figure that was seen during the JFK assassination, now referred to as the umbrella man remains one of the weirdest events from the day of the assassination. 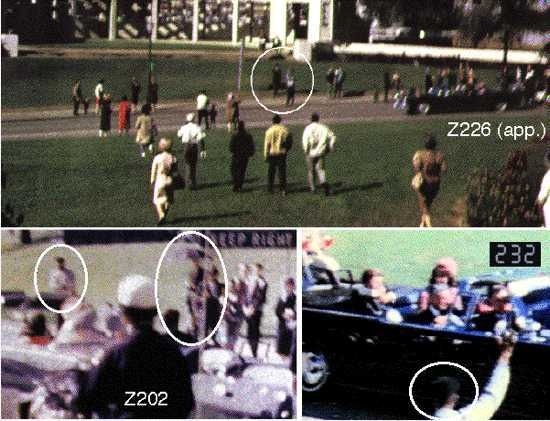 The umbrella man can be seen in several videotapes and photographs of the assassination, including the famous Zapruder film. He is the only person in Dealey Plaza with an umbrella, which has been deemed unusual because it was a clear day. In the videos, the umbrella man can be seen opening his umbrella and lifting it high above his head as JFK’s limousine approached. He then spun the umbrella clockwise as the limo slowed down and JFK was shot. A signal to the gunmen? In the aftermath of the assassination, the umbrella man sat down on the sidewalk next to the Stemmons Freeway sign. He then got up and walked towards the Texas School Book Depository, the location of the shooter Lee Harvey Oswald. The true identity of the umbrella man has never been discovered. His actions have been at the center of multiple movies that examine the JFK conspiracy theory, including Oliver Stone’s film. The theory suggests that the man used the umbrella to signal the shooters. More specifically, he could have been signaling Kennedy’s driver, who was ordered to slow the vehicle. Many people who witnessed the assassination said that Kennedy’s limo came to an almost complete stop in the middle of the street before he was shot. The umbrella man is found!